In 1961, Fidel Castro’s new Cuban government organized a massive literacy campaign, recruiting 100,000 teenagers to move to the rural areas and teach illiterate farmers how to read and write. 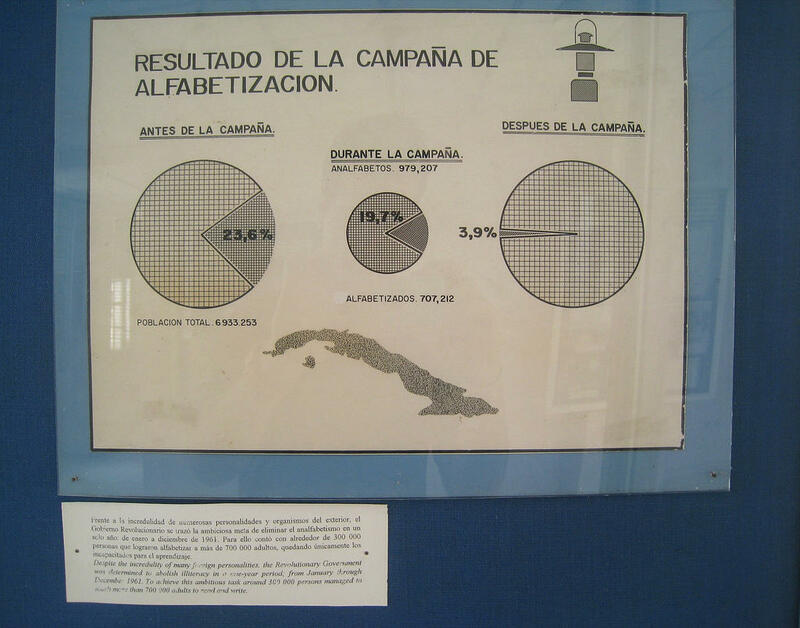 Altogether, The Cuban Literacy Campaign (Campaña Nacional de Alfabetización en Cuba) recruited more than a million Cubans as teachers, school-builders, trainers of new teachers, and students. By the end of 1961, over 700,000 Cubans had learned enough to read a book and write a letter, raising the country’s official literacy rate to 96%. It stands as one of the 20th century’s most ambitious education campaigns. Brian Kahn talks with three members of The Year of Education’s “literacy brigades:” Marietta Biosca, Pamela Rios, and Felo Rojas. Recorded in Havana.